Back Cover: The sleepy town of Newbury, Connecticut, is shocked when a little girl is found brutally murdered. The town's top detective, perplexed by a complete lack of leads, calls in FBI Agent Leia Bines, an expert in cases involving children. Meanwhile, Dr. Peter Gram, a psychiatrist at Newbury's hospital, searches desperately for the cause of seven year old Naya Hastings's devastating nightmares. Afraid that she might hurt herself in the midst of a torturous episode, Naya's parents have turned to the bright young doctor as their only hope. The situation confronting Leia and Peter converge when Naya begins drawing chilling images of murder after being bombarded by the disturbing images in her dreams. Amazingly, her sketches are the only clues to the crime that has panicked Newbury residents. Against her better judgement, Leia explores the clues in Naya's crude drawings, only to set off an alarming chain of events. In this stunning psychological thriller, innocence gives way to evil, and trust lies forgotten in a web of deceit, fear and murder. Excellent, excellent psychological thriller that totally captured my attention and I had a hard time putting it down. The author, Preetham Grandi specializes in child psychiatry and his experiences make the story very real indeed. Naya has started sleepwalking and her parents are scare she is going to hurt herself. She is admitted for evaluation and during conversations with Dr. Peter, reveals dreams she has had about the murdered child and shows him drawings of her dreams. The murdered child was found on land of Peter's uncle - Senator Thomas Bailey, who is also running for president. He wants the FBI investigation wrapped up quickly and quietly. In the course of the investigation Peter and the FBI agent Leia Barnes meet and he tells her about Naya. They work together to help solve the mystery and prevent any future deaths. 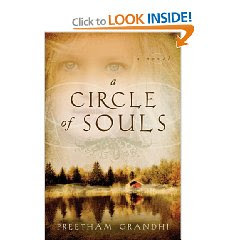 Thank you to author Preetham Grandhi for providing me with a copy A Circle of Souls. I highly recommend it. For more information about the book and Mr. Grandhi, check out his website A Circle of Souls. "More than a crime novel, A Circle of Souls also has paranormal and spiritual elements, as a young girl's dreams end up being clues to solve a brutal murder of another child. Here, Grandhi turns to Indian beliefs in the role of the soul and predestination, among other traditions. 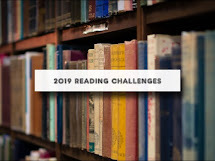 It truly makes for a fascinating read and a bit of insight into the Indian culture." "A Circle of Souls is a brilliant, psychological thriller that will leave you memorized. It will have you questioning legends from reality. All of the characters had really great dimension. I could connect with them all." "The story is wonderful. An interesting mix of crime thriller, psychological novel and paranormal story. Criminal Minds meets X-Files. What's not to love, right? It reminded me of Orson Scott Card's Lost Boys, which was fabulous."